What is a Bed & Breakfast and what is an Airbnb? 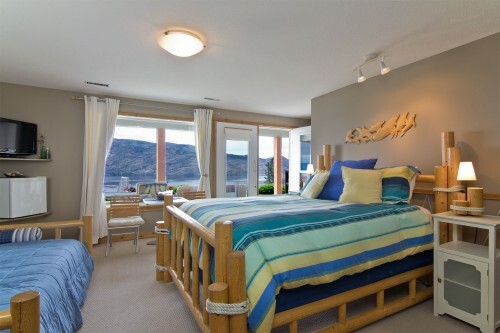 Many people are confused and think that an Airbnb is the same as a Bed & Breakfast. Recently while planning to attend a concert, my travel companion was talking about staying at a B&B, but what she was actually talking about was an Airbnb, not a true Bed & Breakfast. Airbnb is of course only one type of Short Term Rental (STR) accommodation, there are other companies offering the same, but Airbnb has that name recognition pretty much around the world. Airbnb accommodations have exploded in the last several years and are changing the accommodation landscape dramatically, especially in urban centers. In fact, the growth in Airbnb properties and other STRs are causing so many issues related to rental availability in communities and competition for hotels, motels, lodges and Bed & Breakfasts, that communities are starting to having to deal with this and are creating bylaws and regulations. In British Columbia this is only happening at local levels, as provincially the government has not dealt with this issue. 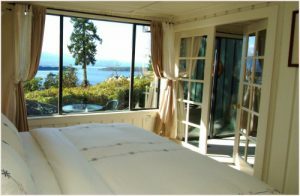 The BC B&B Innkeepers Guild is an association of true Bed & Breakfasts. Members must meet certain criteria to be able to join, including a business license, insurance showing the operation of a B&B and a recommended 2 million liability coverage, a Foodsafe certificate, and safety features such as smoke detectors, fire extinguishers, emergency exit plans, first aid kits, fire inspections in some cases, sufficient lights for night time safety, etc. Our members offer a high standard of service, safety, comfort and especially hospitality, as well as breakfast included in the rate. In the Bed & Breakfast world “Airbnb” stands for “bed no breakfast”. 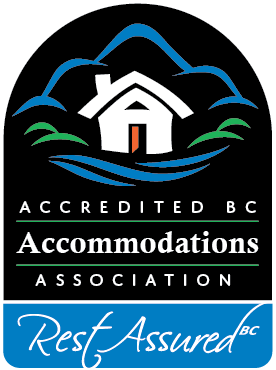 At the recent public hearings in Vancouver our President Sue Willis and Board member Clair Oates were both on the speakers list to address STRs from the perspective of true Bed & Breakfasts. Of the 134 speakers over the 2-day public hearings many speakers were from Airbnb properties, speaking about the costs of living in Vancouver and how they could not afford to live there if they did not have the opportunity to rent out accommodation in their home. What is happening though in many communities is that many owners are renting out suites or apartments in rental buildings without living on the premises, or having landlord/strata approval for such. Many rental buildings have multiple Airbnb units which in some cases are causing all sorts of problems for the permanent residents in those buildings. In some cases, whole apartment buildings are being rented as Airbnb units. In resort communities, so many units are rented as STRs, that resort companies are having great difficulties in finding staff for the season, because there is no staff accommodation available. Both our President and Board member who spoke at the Vancouver public hearing emphasized the need for regulations to govern short term rental accommodations, regulations that would level the playing field for previously existing accommodations such as Bed & Breakfasts and hotels. Short term rentals should be licensed, should be paying taxes, and should have proper insurance. Our B&B innkeepers take great pride in meeting our industry standards but that all comes at a cost of course, a cost that Airbnb type rentals do not have. These STRs should be licensed so that they are visible and can be regulated and taxed. They are benefiting from the visitors to our communities, so they should contribute to the funding that markets our communities and brings those visitors, and not have a free ride. Our members are almost all feeling the impact of Airbnbs in their neighborhoods and the reputation of the true Bed & Breakfast is also being impacted by these short term rentals. Airbnb is not a Bed & Breakfast and they should not be allowed to advertise as such unless they actually offer an included breakfast and the owner lives on the premises, offering personalized hospitality. BC Innkeepers will continue to speak on behalf of all true Bed & Breakfasts in BC to preserve and protect this unique type of guest accommodation, by working with the Tourism Industry Association of BC, the Fairbnb Coalition and others . So no, Bed & Breakfasts are not the same as Airbnb.